Since 2008, as a champion for health care delivery system change that drives value, I decided to become a disruptive innovator. I recruited resources to organize an integrated practice unit, or IPU, around people living with the complexity of type 2 diabetes and its associated co-morbidities, including the complications that drive the escalating societal costs around the world. People with chronic, complex multimorbidity benefit from team-based, interprofessional care. Yet to existentially be a ‘collaborative therapeutic alliance’, which includes the patient, merely collecting fragmented health care providers from disparate disciplines falls short of the mark. There are many obstacles to delivering integrated, team-based and high-value care for people living with complex issues. ClickMedix solves one of the biggest ones for us: we can connect all of the stakeholders for the patient’s health despite their being scattered across geography and the ecosystem, and thereby communicate actionable data and wisdom across the long-term care cycle. Dr. Pumerantz is Professor of Internal Medicine, Chief of Infectious Disease, Executive Director of the Western Diabetes Institute (WDI), and Assistant Provost for Strategic Initiatives at Western University of Health Sciences (WesternU) in Pomona, California. He has more than 25 years of experience spanning a spectrum of patient care, medical education, and cross-disciplinary research. In 2009 during his tenure as WesternU’s Chair of Internal Medicine, Dr. Pumerantz founded WDI as a cross-disciplinary integrated practice unit (IPU) to focus on improving the value of team-based care delivery for people living with chronic, complex multimorbidity. In the WDI’s IPU people with diabetes are provided a same-day, comprehensive evaluation to assess the complexity and severity of their condition and to deliver precise and personalized team-based care in collaboration with the patient’s primary care physician and other providers across the health care ecosystem. To better visualize this composite health status and to communicate actionable data between all stakeholders, including providers from disparate disciplines, Dr. Pumerantz developed the Diabetes Cross-Disciplinary Index © (DXDI). In 2015, he and colleagues at the University of Dundee in Scotland incorporated a modified version of the DXDI into the Scottish Care Information Diabetes Collaboration (SCI-Diabetes) platform, in which all patients with diabetes living anywhere in Scotland can have their complete diabetes record viewed by any National Health Service (NHS) health care professional who is involved in their care. The WDI also maintains a research registry that enables measurement of outcomes and the costs of delivering those outcomes to patients within their cohort, and is collaborating on diabetes and multimorbidity care delivery innovations with California-based health plans and local federally-qualified healthcare centers (FQHCs). ClickMedix provides a connected mobile health IT platform that leverages WDI’s care model and captures data for the registry. At WesternU, Dr. Pumerantz also led cross-disciplinary teams in the transformation of predoctoral medical school curriculum and the formulation of novel therapeutics for drug-resistant infections. His previous professional positions include infectious disease consultant in hospitals in Connecticut and New York, as well as partner in a large, multi-physician consultative infectious disease private practice on Long Island’s North Shore. Dr. Pumerantz holds an AB from Occidental College in Los Angeles, and a DO from Philadelphia College of Osteopathic Medicine. He trained in internal medicine, and served as Chief Medical Resident, at Beth Israel Medical Center in New York City. In 1995, Dr. Pumerantz completed infectious diseases fellowship at Yale School of Medicine. 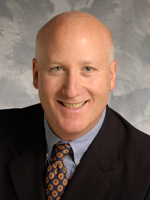 Dr. Pumerantz is a Fellow of the American College of Physicians.